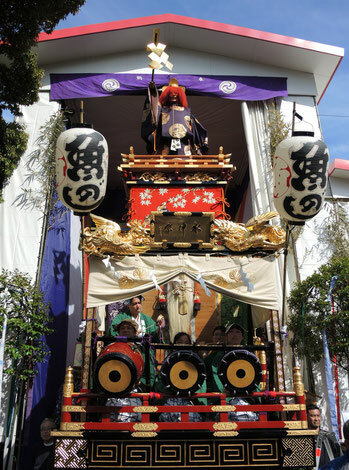 The parade of floats are decorated with Shoguns. They never fade away even as time goes by. Inspired by the energy of the Festival. 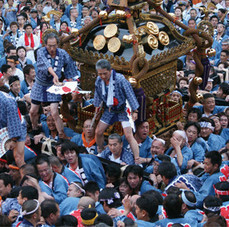 The Kanda Matsuri is one of the most famous Tokyo festivals and is also ranked among the three largest festivals of Japan. 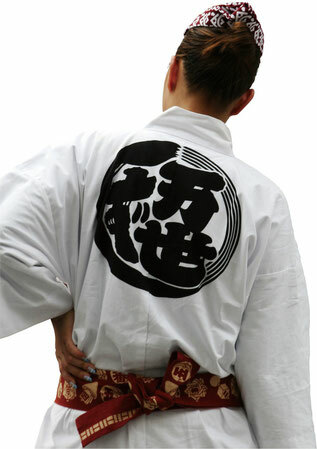 Kanda Matsuri is also called 'Tenka Matsuri("Tenka"meaning Shogun)as this festival was supported by the Shogun during the Edo Period(1603-1867)and permitted to enter the grounds of Edo Castle, the Shogun's residence. 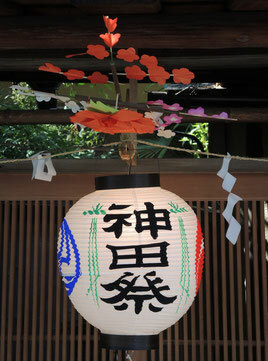 The main festival is conducted in years ending in odd numbers by the Western calendar, and main festivals are held in much larger scale than those in even-numbered years. The main attraction in the main festival is the parade(procession). The procession is held on Saturday and about 300 people march through central Tokyo districts such as Kanda, Nihonbashi, Otemachi and Marunouchi. 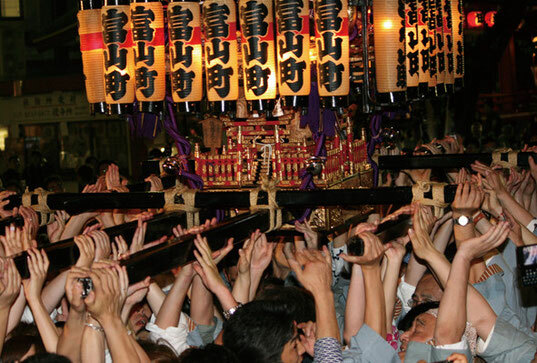 In addition to the marching people, mikoshi(portable shrines), all kinds of floats with beautiful decorations, and Shinto priests mounted on horseback line up in rows, producing a spectacular sight. 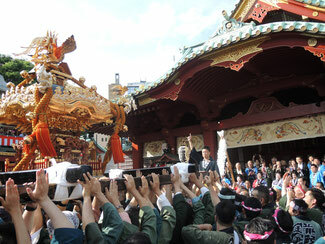 On Sunday, almost 100 small and large portable shrines gather from different districts to the Kanda Shrine. 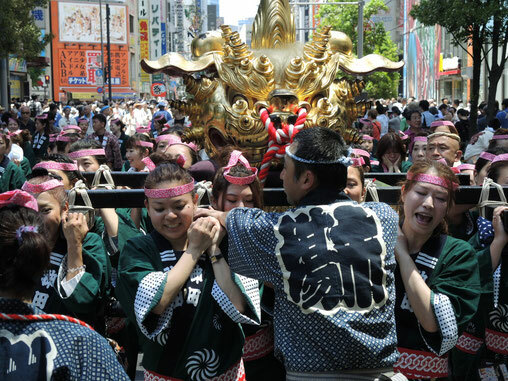 As the Kanda Myojin Shrine is located in the former central quarter of Edo(Tokyo), Kanda Matsuri is a high-spirited and jovial festival reflecting the Edo people's temperament and characteristics.